Yep, you read that correctly. I did in fact buy a foundation that costs £90 (or could be £85 read below to understand!). 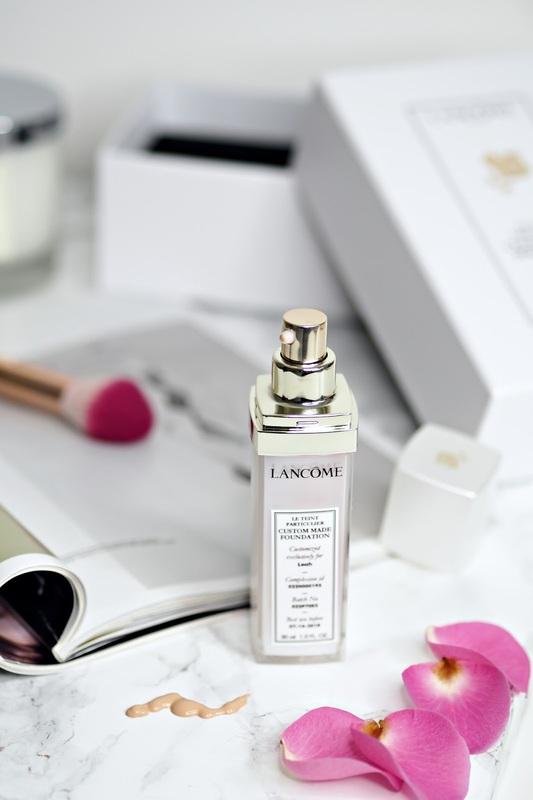 I know, it’s ridiculous money but for me a good flawless base can make all the difference, and as someone who is very picky with foundations (there are only 3 I will wear) I was intrigued to see if the quality of the Lancôme Custom Made was as high as the price tag. 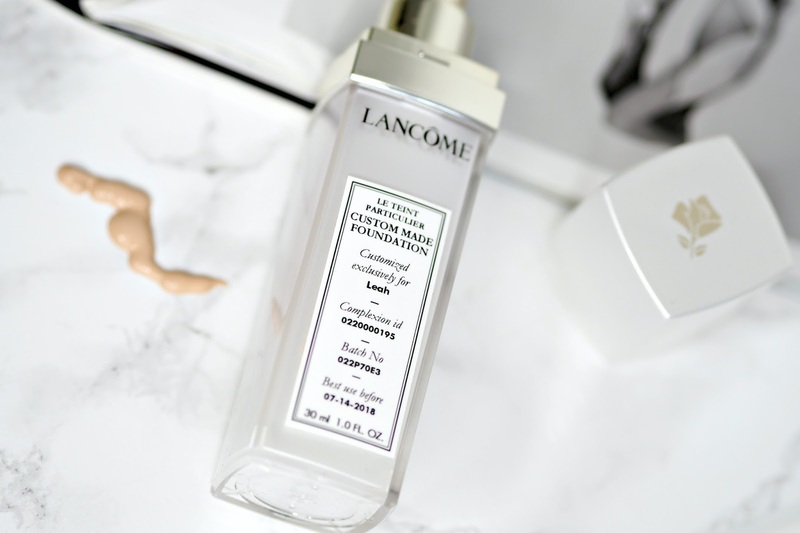 If you didn’t already know or haven’t watched my latest vlog, Lancôme have launched their new Custom Made foundation which is exclusive to Harrods in London. In a nutshell Lancôme use sophisticated technology to scan your skin and make a foundation which matches your shade exactly – on top of that it’s made to suit your skin type (oily/ dry/ normal) and you get to choose the coverage – sheer, medium or full. You can probably now tell why I was intrigued. Sounds fab, right. I vlogged the full process and what goes into the experience here on my channel or below, so rather than me explain what happened I would suggest watching it as it’s quite fun – skip to 4.05 as that is where it starts if you don’t want to watch the rest of it. I asked for my foundation to be full coverage and I said I have oily/ dehydrated skin so they made it for an oily skin type. The first colour they made was slightly too dark for me as the scanner was picking up on my freckles – you can’t find any skin on my face that does not have freckles on it! But it was easily corrected and they made it a shade lighter for me which was perfect. The colour created for me is a great colour match, however as I fake tan my colour changes daily depending on if I have just fake tanned or I’m about to fake tan, so my colour can really vary. But for the colour I was on the day it was a great match. Once the foundation had been made the lovely lady at Lancôme applied it to my face. She said that the foundation was best applied with a very fluffy brush over anything else – like a Beauty Blender for example, and she was correct. I’ve tried applying it with a Beauty Blender and it just does not work. It reduces the coverage and doesn’t leave a nice even finish so I always use a brush to apply this foundation with – you really have to work it and buff it into the skin. 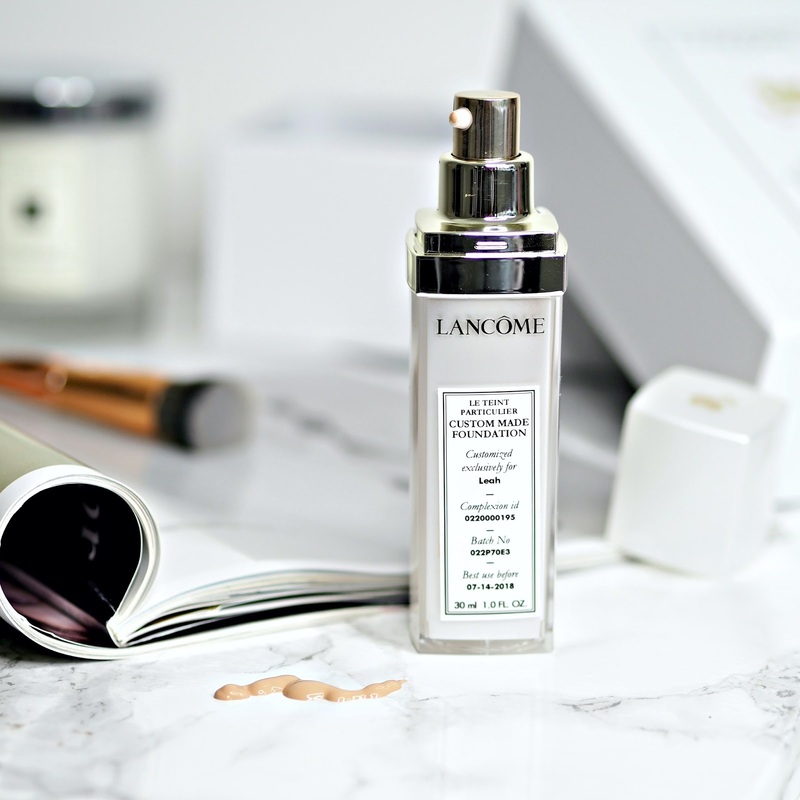 The Lancôme Custom Made foundation feels very light on the skin compared to any normal full coverage foundations I am used to wearing which is lovely, but there is a reason for this…… Unfortunately this foundation is nowhere near full coverage, and I mean not even close! The consistency is runnier than the normal full coverage foundations I use – think MAC Studio Fix, Clinique Beyond Perfecting and Kat Von D Lock It, which is again why it’s coverage isn’t great. If you like a medium coverage foundation then I think you’d be really happy with the finish, but for you gals out there that like it full like me, this one isn’t for you. The staying power was pretty good and in the areas where I usually get really oily and I would say they were less oily than normal, so the oil control benefits in this foundation I think do work. Once the perfect shade has been made for you and it’s been applied to your skin its packaged up in the most beautiful sophiscasted packshoing which is all white. A personalised label is attached which has your name on it and your shade. If you want to go back and repurchase the foundation you can just quote the number and they can make it again for you – saves you having to go through the whole process again. One thing about the price…. When I rang up to make an appointment I had to give a deposit of £25 to secure the booking and I was told the price was £90. When I paid on the day I wasn’t concentrating and didn’t even look at the amount I was paying on my card. I should have paid £90 minus the £25 deposit, so £65. However I’ve just checked my account and £85 has been taken off, so I’ve paid £110 in total. I rung up Lancôme to explain and they were really kind about it and said they would refund the £25 deposit I paid, which makes the foundation £85. I queried this and said I thought it was £90 and they said it was definley £85. I’ve looked at other websites online and they all say it’s £90 too, so I still can’t be quite sure if it is £90 or £85! I’ll wait and see what actually gets refunded to my card as I’m still not sure £85 is correct – Sorry, long ramble but I wanted to explain it! For me the cons outweigh the pros as coverage is very important for me so it’s not something I would purchase again. 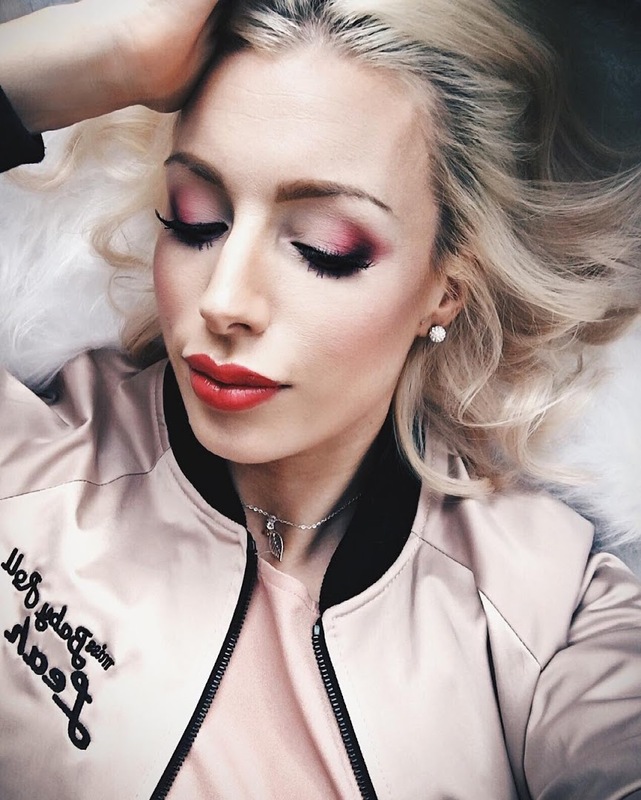 If you’re happy with sheer/ medium coverage and struggle to find foundations that match your skin colour then I think you’ll love it – but just maybe not the price tag! To purchase the Lancôme Custom Made Foundation you must book an appointment at the Lancôme counter in Harrods by calling 0207 225 5732. 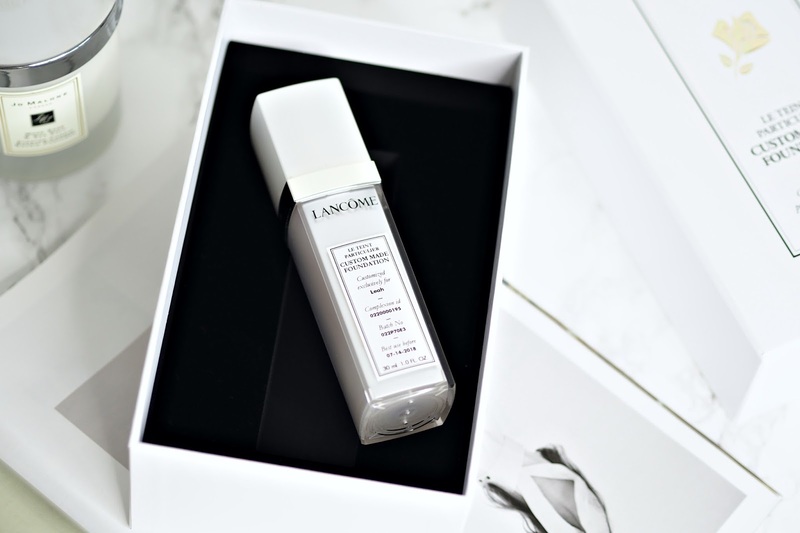 What are your thoughts on the Lancôme Custom Made foundation?